And Trump thought the whole Flynn thing was a hard time. It’s frustrating how some people just don’t learn, how they make the same mistake over and over, and over. 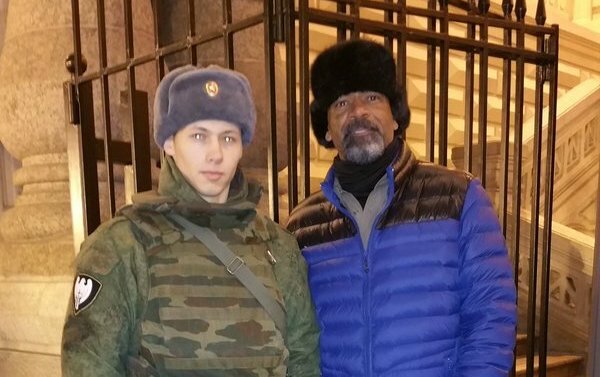 Our president and friend, Donald Trump, despite being in more hot water than a lobster dinner this week over, what else, Russia, went and appointed Milwaukee County Sheriff David Clarke to the Department of Homeland Security. Oh, another brother man in government, you say — that’s a good thing, right? Well, except Clarke, who will be joining the Department as an assistant secretary, took an all-expense-paid trip to Russia not too long ago, the Daily Beast reports. 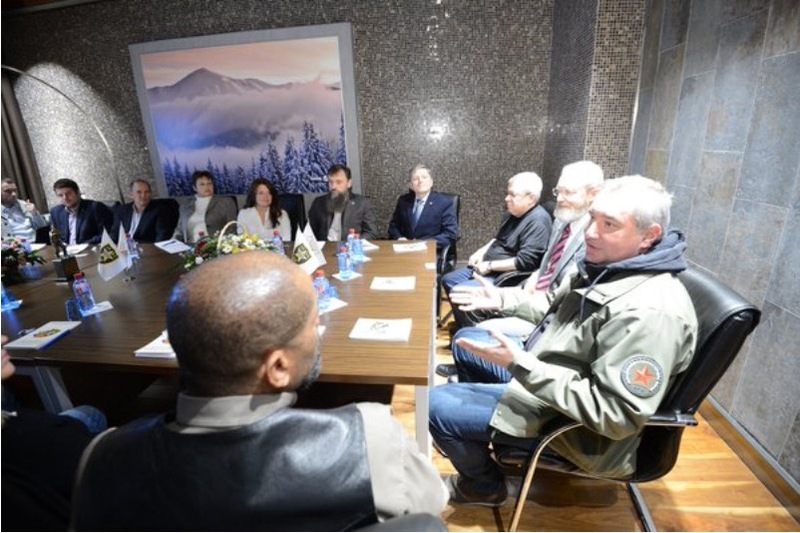 Clarke was a guest of super-right-wing leader, current target of U.S. sanctions, deputy prime minister, Russian defense industry czar and Putin right-hand-man, Dmitry Rogozin. Whoa, you say, sounds like a bad hombre. Rogozin pushes a “strike-first” defense policy for Russia, loves cyberwarfare, was once the leader of the racist and nationalistic Rodina party that ran on a platform that referred to Central Asian immigrants as “garbage” and was a key figure in Russia's attempted recapture Georgia. Oh, and he believes Alaska needs to come back to Russia, just like Ukraine. What was Clarke doing with this guy? Having at least $6,000 worth of fun, according to the public disclosure forms Clarke had to submit, being a public servant. Clarke went as part of an NRA delegation; his trip was paid for by the NRA and Maria Butina, a Russian national who lives in Washington and runs a firearms advocacy group. Exactly where Butina — and her advocacy group — get their money from is a mystery akin to why Trump seems to be so close to Russia. Clarke and crew said nothing suspicious or illegal happened during the trip, that they just ate good food (everyone knows Russia rivals Southeast Asia as a foodie’s paradise), talked about television deals (because Clarke is a television executive in his spare time), shot guns (okay, this one makes sense), and networked a bit. So yeah, all that’s not suspicious at all. And then back here at home, Clarke’s got the problematic issue of being in the middle of scandals at the Milwaukee, Wisconsin jail he is in charge of — The Atlantic reminds us that four inmates have died under his watch in the last year, one of thirst after jail officials refused him access to water for seven days. Oh, and a baby too. A mother was in the throws of labor, and reportedly begged jail officials for medical attention. How did they respond? So, her newborn died just after she finished delivering it. By herself. He’ll fit right in with old Pence and his love of women, won’t he? Clarke’s new BFF, though, is going to be Jeff Sessions. We told you earlier today about Kamala Harris, and what she thinks of Sessions’ rollbacks of criminal justice reform. I tell you what, Ben Carson’s jumping for joy right now. With Clarke around, no one’s ever going to call him an Uncle Tom ever again. Or at least until the new director of the FBI gets to the bottom of the Trump administration and Russia, which, by the looks of things, could take a while.